The rules governing inherited IRAs are complicated, to say the least. That’s especially true if you inherited an IRA from a non-spouse. If cashing out an inherited IRA is your goal, whether or not you can do that depends on various factors, including whether or not the deceased was already taking required minimum distributions (RMDs) from the account. If you lost your spouse and inherited the IRA, the IRS regulations are simpler. In this case, you can treat your late spouse’s IRA as if it were your own. Unlike any other type of beneficiary, you can transfer the assets into your own IRA or open a new IRA with the funds in your name. However, if you decide to move the assets into your IRA or open a new IRA account in your name, you cannot take distributions from it if you are under age 59 1/2 without incurring the IRS’s 10 percent penalty. If you want to cash out your late spouse’s IRA, rather than roll it over, take a lump sum distribution. 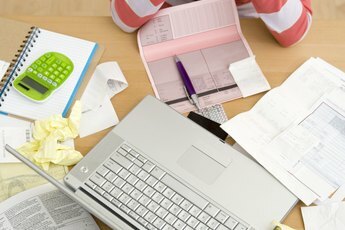 Although you receive all of the assets at once, you must pay income taxes on the entire amount at one time. Cashing out an inherited IRA could move you into a higher tax bracket, so you could end up paying more taxes on all of your income that year. Fortunately, you have other alternatives. You can take advantage of the options available to non-spousal beneficiaries. If the deceased was anyone other than your spouse, different rules apply. If the deceased had not yet started taking RMDs, the lump sum distribution method is available if you want to cash out the inherited IRA at once, but it’s critical to weigh the tax drawbacks before making that decision. Another choice is opening an inherited IRA account. Under this method, you must begin taking distributions by the last day of the year in which the deceased would have turned 70 1/2. Once the inherited IRA distribution starts, it is spread over your life expectancy. That number is based on your age as of the year following the original account holder’s death. You can also take RMDs based on the deceased’s age, but that doesn’t make sense unless the deceased was younger than you. Taking RMDs based on the age of a person older than you means you must take more money out, and that reduces the tax-advantaged nature of the IRA. One caveat: If you are opening an inherited IRA account, make sure the assets transfer directly from the deceased’s IRA to your inherited IRA. Although there is a 60-day rollover period permitted if you are transferring your own IRA to another IRA account, that’s not allowed when it comes to inherited IRAs. If you end up getting a check for the IRA you inherited, the whole thing is taxed as ordinary income, and you can’t put the money into a new inherited IRA or transfer it back to the original IRA. If more than one beneficiary inherited the IRA, as may prove the case in a parent’s death where the assets were split among siblings, every beneficiary must establish an inherited IRA by December 31 in the year following the year of your parent's death. For example, if your father died in 2017, you and your siblings must establish your inherited IRA accounts by December 31, 2018. Once mandatory RMDs kick in, you are taxed on the distributions, which are treated as ordinary income. Failure to take the RMDs or not taking out a sufficient amount means the IRS may penalize you with a walloping 50 percent excise tax on the amount that should have been withdrawn. 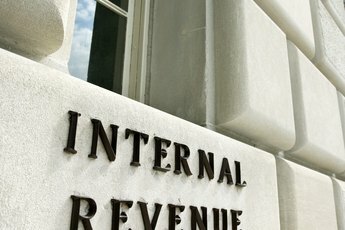 These amounts are calculate using the IRS’ Uniform Lifetime Table. Assets still in the inherited IRA continue to grow tax-deferred until withdrawn. Once you open an inherited IRA account, you can name your own beneficiaries who receive assets after your death. If you don’t want the tax headache of the lump sum distribution but aren’t keen on the life expectancy option, there’s another alternative. With the five-year method, you can open an inherited IRA and keep the money in there up to December 31 of the fifth year after the year in which the original account holder died. Before that date, all of the assets require distribution. If your father died in 2017, you have until December 31, 2023, to make withdrawals before any remaining funds are distributed. From a tax perspective, this should reduce the taxes on an inherited IRA as you can plan that the distributions won’t propel you into a higher tax bracket. If you inherited a non-spousal IRA and the decedent was already taking distributions, your choices are more limited. You can opt for the lump sum distribution or open an inherited IRA account via the life expectancy method. However, if the original account holder didn’t take an RMD in the year of their death, it is necessary to make a distribution by the end of the year in which the account holder died. In the example of the father’s death, that means an RMD distribution is required by December 31, 2018. The information above applies to traditional, SEP and SIMPLE IRAs, as well as 401(k) retirement plans. Unlike other types of IRAs, Roth IRAs are funded using post-tax dollars. That means distributions aren’t taxable for the original owner as long as the account was open at least five years. If the account wasn’t open that long, the beneficiary must pay tax on earnings. Unlike traditional IRAs, there are no RMDs. Once the person dies, however, the rules change. If you are a spouse inheriting a Roth IRA, you have the same choices available as with a traditional IRA. But if cashing out an inherited IRA through a lump sum distribution, you won’t pay any tax as long as you are over age 59 ½ and the account was open for a minimum of five years. 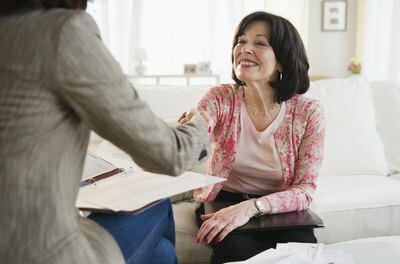 If you decide to roll over your spouse’s IRA into your name, no RMDs are required in your lifetime, while the assets continue to grow tax-free. If you don’t roll over the inherited Roth IRA and it becomes a standard inherited IRA with you as beneficiary, then you must start taking RMDs at age 70 ½. However, you don’t pay tax on the distributions. If you are a non-spouse Roth IRA beneficiary, you will have to take RMDs, but you don’t pay taxes on the amounts. However, if you fail to take required RMDs, you are again subject to that 50 percent excise tax on the amount you should have withdrawn. Unfortunately, there are Roth IRA non-spouse beneficiaries who don’t understand that they must take RMDs and end up paying a lot of tax they didn’t need to pay if they had the correct information. That’s one reason you should always consult a tax advisor when inheriting any substantial assets. You can use the five-year option and make sure all assets are distributed by December 31 of the fifth year after the year of the original owner’s death. With a Roth IRA, though, the life expectancy method usually makes more sense. That’s because the Roth IRA funds grow tax-free and your distributions are also tax-free. You're allowed to claim estate taxes paid on a cashed out IRA as a tax deduction. Claiming this deduction will help offset some of the taxes you must pay on the money you receive from the IRA. An inherited IRA must be cashed out or transitioned by December 31st of the year you inherit it, to avoid IRS penalties. When cashing out an inherited IRA, you must pay income taxes on the full amount, and may have to pay unpaid taxes on previous distributions as well. Consult a tax professional before cashing out an IRA, as some taxes and fees may cost you as much as 50% of the total value of the IRA. 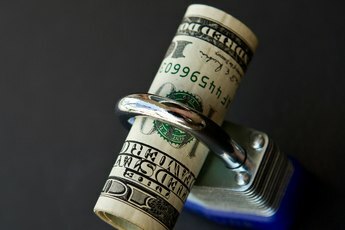 How Often Can Money Be Taken From an IRA Account? 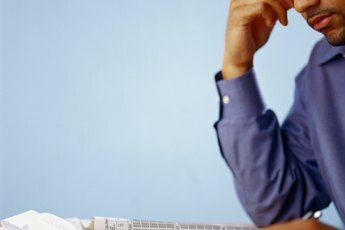 How Much Are Taxes on an IRA Inheritance? Can I Gift IRA Assets?